There are many benefits to living in a home built from used shipping containers, and more and more people are starting to realize this and take action. If you are already lucky enough to have built your own and/or already live in one, you'll know these benefits first hand and will have experienced them for yourself. 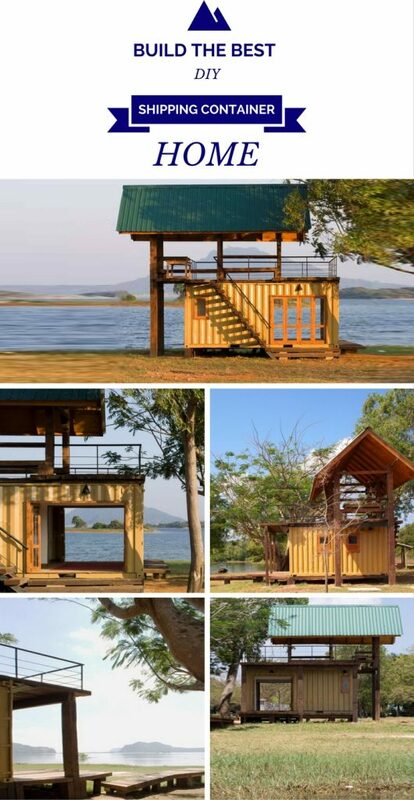 Much cheaper than conventional building methods of timber-framed buildings, and brick and mortar buildings, used containers are modular, flexible in design (and can be made to look absolutely beautiful! ), durable, eco-friendly, and just an all-round winner when it comes to building your own home. Over the next few paragraphs I'm going to outline some of the benefits of living in used shipping containers. Although the price of containers is currently on the rise (due to various factory closures in China during 2009 and early 2010), you can still pick up a fairly good bargain. As the global recession starts to ebb and global trade routes begin to get busier again, the production of shipping containers will increase also. You'll start to see container prices start to dip again, or at the very least remain stable. You can currently pick up a used container for around $1,500USD. That's a base price of $1,500USD for 305sq feet of floorspace. Not bad when you compare it to the price of more traditional forms of construction. So to conclude this point, used container homes are much more economical to build than more conventional building methods. So how green can shipping container living be? The answer: They can be as green as you want them to be. If you want to go down the truly green route, then think of your home more as an ‘eco-pod'. You could produce your own energy by putting a few solar panels on the roof. You can use hydro if you're close to a river or fast-flowing stream. You can apply a ‘Green/Living Roof' to the top of your containers which will aide in insulation and greatly reduce your heating costs (in the winter) and cooling costs (in the summer). Consider the fact that shipping containers are built to withstand the most unforgiving weather conditions, travelling hundreds of thousands of miles aboard open-top trans-oceanic shipping-container ships… Built to have a minimum working life of 20 years before being decommissioned. After that, these containers, placed in a fixed position and maintained, have an almost infinite lifespan. Made of pre-fabricated steel and welded together, they are made to be rigid and strong, and very hard-wearing. This makes them hugely practical in areas of high geological activity, such as earthquake zones and hurricane hotspots. Shipping containers can easily hold out against windspeeds of up to 175mp/h (281km/h) when anchored with pylons…which is easily done. Every building should have suitable foundations whether it be from used shipping containers or a traditional build. Above I've outlined the three main benefits most home-owners will immediately notice. They are in fact three of the main things many people look at when buying any type of home. It just goes to show the explosion in shipping container homes in the past few years is totally justifiable, and why so, so many people are turning to these containers to build their own dream homes. This Is The “Perfect” Most Complete… Easy-To-Use and Clear Shipping Container Home Guide You Will Find — ANYWHERE! Shipping Container Homes – Trendy or Trashy?